Our new research into survey fatigue has just been released! It’s already been covered by Marketing Profs, Social Media Today and more. Featuring a ton of analysis and 125 data points, we asked 1000 people how they felt about providing feedback to companies they interact with. Here’s a quick rundown. One of the major discoveries is how little time people are willing to commit to the feedback process. If your survey isn’t short and to the point, you’re in for a low response rate and heavily skewed results. Our research showed that only 9% of people take time to answer long surveys thoughtfully. And 70% of people said they have abandoned a survey before finishing it. We began by asking people about their general sentiment across a range of industries, and then how often people provided feedback in each. This first chart clearly highlights negative response bias at work. 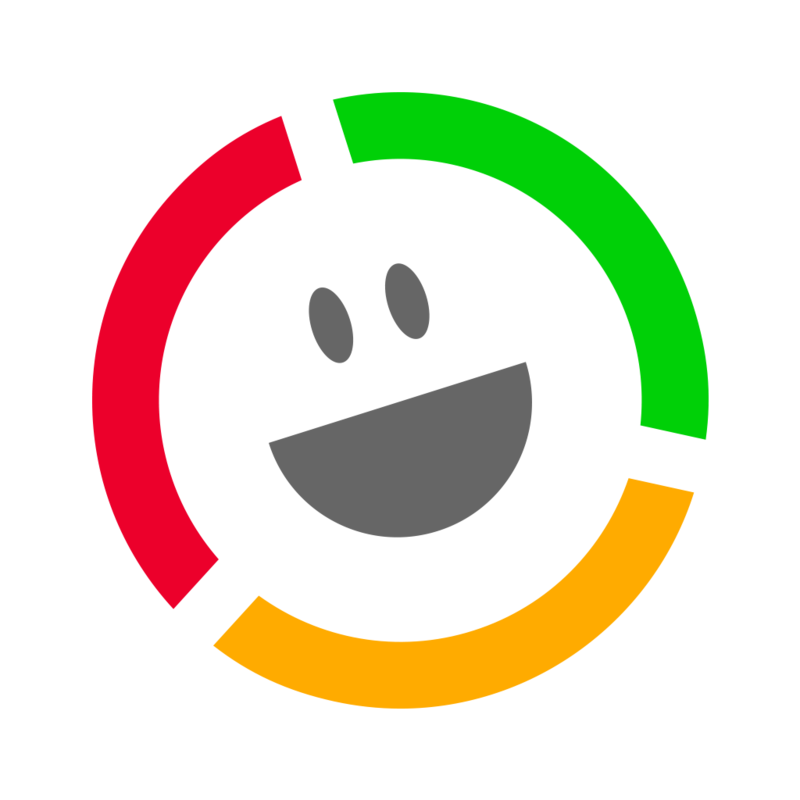 People are more likely to provide negative feedback because happy or satisfied customers can’t generally be bothered to respond to surveys. “Quick” is a key word for customers wanting to give companies feedback. Anything lengthy, online or off, was seriously disliked. The disruption often caused by a company asking people to fill in a survey is a real problem too. Telephone surveys for example were favoured by only 2% of people. Customers want the feedback process to be quick, easy and on their terms. Chiming in with our recent brand loyalty research, consumer electronics brands came out top at delivering customer satisfaction. 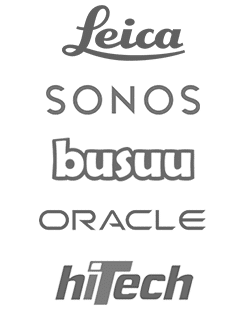 Fascinatingly, less than half of people had ever provided feedback to these companies. The industries doing best at getting customer feedback are retail, consumer electronics, mobile communications and cable/satellite providers. It appears that customers don’t often provide feedback to industries such as household/personal products, insurance providers, drug stores and hospitality. Survey fatigue statistics: what kind of surveys do customers actually like? It’s interesting to note that when there’s a compelling event or reason, and something is sent at the right time, customers are happier to respond. This is most likely because they appreciate there’s a reason for the contact. So if you’re looking to increase your response rate, look to add your feedback mechanism at a time when it makes sense to your customers to do so. Don’t wait days or weeks after an event to ask for input. 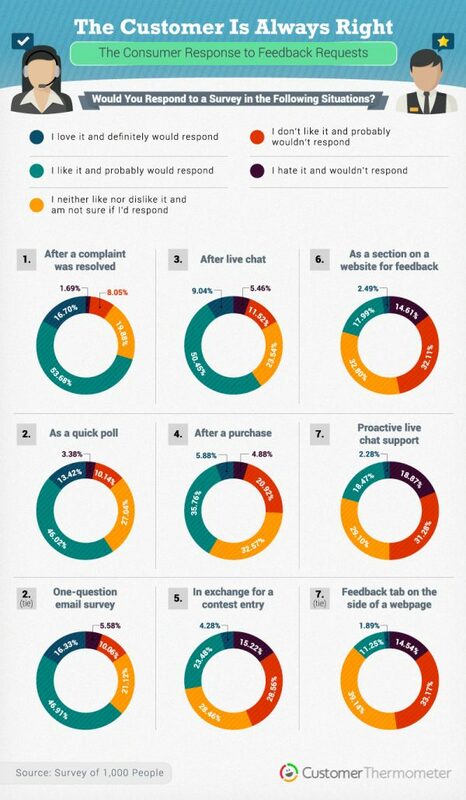 It’s also clear from these statistics that customers prefer to feedback using short and “to the point” mechanisms. Try and make it easy and simple for customers to respond and then get back to their day. We went on to ask the people who said they disliked or hated particular companies to tell us why. When we asked people what had driven them to dislike a business in the past, service failure is right at the top of the list, which is probably not surprising. But this is closely followed closely by “lack of trust”. Indeed, looking broadly at these dissatisfaction statistics, nearly half the reasons given for disliking a company were actually about being able to trust what they said, rather than the company or product itself. It’s clear from this that brands need to be as honest and clear as possible (even if the news is bad) in the battle for customer loyalty. A really arresting statistic is that 40% of men and 33% of women said they would take change provider without giving feedback if they disliked or hated a particular business. It’s really interesting that men were generally more likely to complain that women in our study. This was true for every single category of complaint people made. It’s therefore important that customer experience professionals build in mechanisms to seek extra feedback from women to ensure they get a full picture of satisfaction across their customer base. Read the full research piece here.